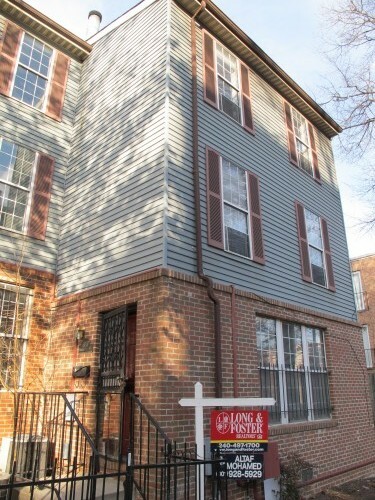 List Price at Contract: $399,900. Original Good Deal or Not post is: hereThe listing can be seen: here. To see pics, open the listing link, click on the main pic and scroll through. We looked at a unit from this condo association about a year and a half ago. The Good Deal or Not Revisited (GDoN-R) can be seen here. This unit sold for $40,000. below that sale. The prices in this association appear to have come down in relation to several foreclosures in the past year. In any case, $224.00 per square foot for a renovated condo in this location, despite the siding, is a deal for someone who wants the amount of space. Typical price per square feet for updated condos in this area is more likely in the low $400’s/square foot. It should be noted that, of the three foreclosed units, two have sold and one is under contract. Hopefully, this is a good thing for the health of the condo association, since owners under financial stress were possibly behind in condo fees and may not have been taking care of their properties. Sadly, the foreclosures may have been upon people who had bought for very reasonable prices, but refinanced during the boom years and couldn’t carry the payments. Although data is not available for all of the homes that were foreclosed upon, one of them shows a purchase price in 1992 of $97,500. and a repossession in the amount of $346,869.